The MPT II combines the power of our signature MPT wiring analyzer with improved flexibility, test speed and ease of use. 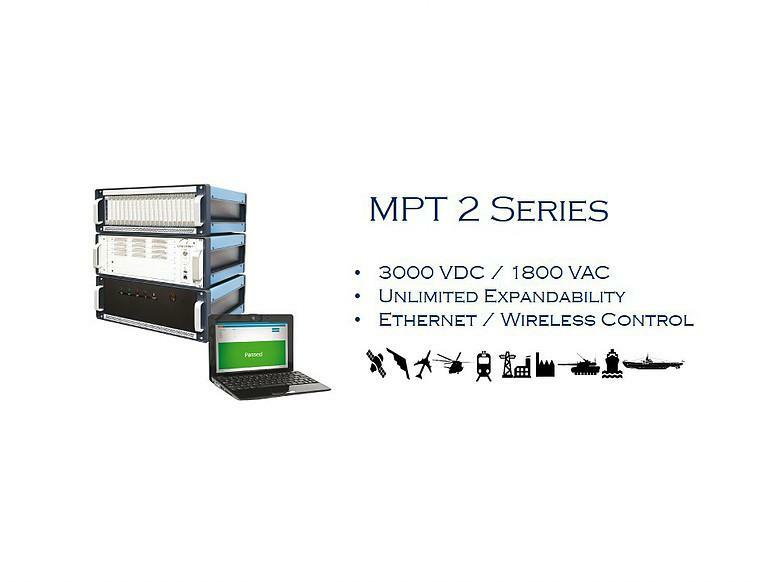 Our new 19” rack mount format and lowprofile switching modules make MPT II the perfect choice for integrators and users that require a highly modular, adaptable and offthe- shelf test rig that can be further customized to meet virtually any electrical interconnect test requirement. To ensure compatibility with existing MPT wiring analyzers, MPT II was designed to share many of the same switching modules and programmable high voltage, high current and power sources with the MPT platform. MPT II offers one of the smallest footprints in the industry, and each system is fully transportable and ideal for both benchtop and distributed interconnect testing on larger products such as aircraft, ships and trains. For larger projects, MPT II now offers unlimited expansion capability. Configure systems using different combinations switching units (e.g. 4U, 8U, 12U, etc). Select or create your own test interface (eg. CableTest supplied interface panels come preconfigured with signatures for adapter identification and ‘connect anywhere’ setup automation tools. Control and Switching units support all standard MPT switch modules, plus a new range of ‘plug-in’ sources.